Echo devices have become known as our household personal assistants, but they are technically smart speakers. What better way to use a speaker than to listen to music? Learn how to use Alexa to create custom music and playlists. Currently, you must subscribe to Amazon Music Unlimited in order to access many of the following features. Asking Alexa for the exactly what you want to hear is an easy way to play your favorite music on your Echo. You can be as general or as specific as you like and Alexa will play something that she believes fits your request. For instance, you could say any of the following. "Alexa, play popular Christian music." "Alexa, play instrumental music from the 1940s." Of course, you can ask her to play a certain song or music by a particular artist, as well. As Amazon continually releases new features, Alexa becomes increasingly helpful in customizing the music you listen to on Amazon Music. 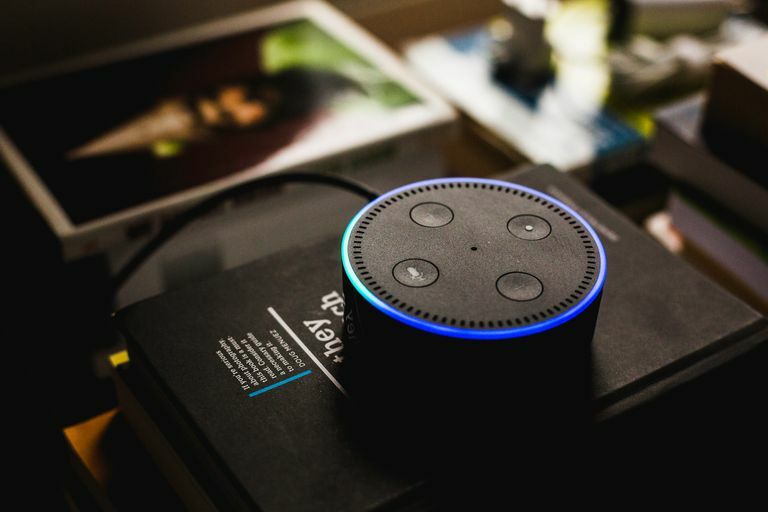 If you start conversing with your Echo device, you might discover that Alexa attempts to find the best music for you or even offer suggestions. For instance, if you say, "Alexa, play music," she will play your most played songs or a station you listen to frequently. But if you're not sure what you want to listen to, you can enable your AI assistant's guidance. If you say, "Alexa, help me find a playlist," she might offer to sample some. She will likely ask if you would like to hear a particular genre or tempo. You can also say, "Alexa, recommend some new music," or "Alexa, what should I play?" and Alexa will offer a few suggestions based on music you have listened to before. You can also use Alexa to block music with explicit lyrics. Just say "Alexa, block explicit songs." or in the Alexa app go to Settings > Music > Explicit Filter. There you can toggle on or off the filter to block songs with explicit lyrics. You can let Alexa know whether or not she is on the right track by giving feedback on the music you listen to. "Alexa, I don't like this playlist." If you say this after Alexa begins to play music from a new or recommended playlist, Alexa will play something else you might like that also comes close to what you requested. "Alexa, give this song a thumbs up." If you say this while a song you like is playing, Alexa takes note and will offer or suggest similar music in the future. Making new playlists with your voice is simple. You can add new music to the playlist at any time. Currently, you must subscribe to Amazon Music in order to create a playlist using Alexa. Say, "Alexa, create a new playlist." Alexa will respond, "Sure, what is the name of the playlist?" Say the name you want to use for the playlist. Tell Alexa to add a title to the playlist now or in the future. For example, if you are listening to music on your Echo device and hear a song you like, say, "Alexa, add this song to my playlist." Alexa will ask which playlist you want to add it to and wait for your response. You can create multiple playlists, such as a morning playlist, an exercise playlist, and a bedtime playlist. If you use another music service, you can link it to your account using the Alexa app. Linking one of the compatible music services will not affect your ability to continue to use Amazon Music on Alexa-enabled devices. Open the Alexa app on your mobile device or go to alexa.amazon.com. Tap or click Settings in the menu. Select Music or Music and Media under Alexa Preferences. Select the music service you want to use. Sign in to the service, if prompted. Select any custom settings you want to apply. If you have asked Alexa to block explicit songs, or you have enabled the explicit filter through the Alexa app, you may encounter some outside music services that won't work. Just disable the explicit filter and you should then be able to access those services. To disable the filter, say, "Alexa, stop blocking explicit songs."